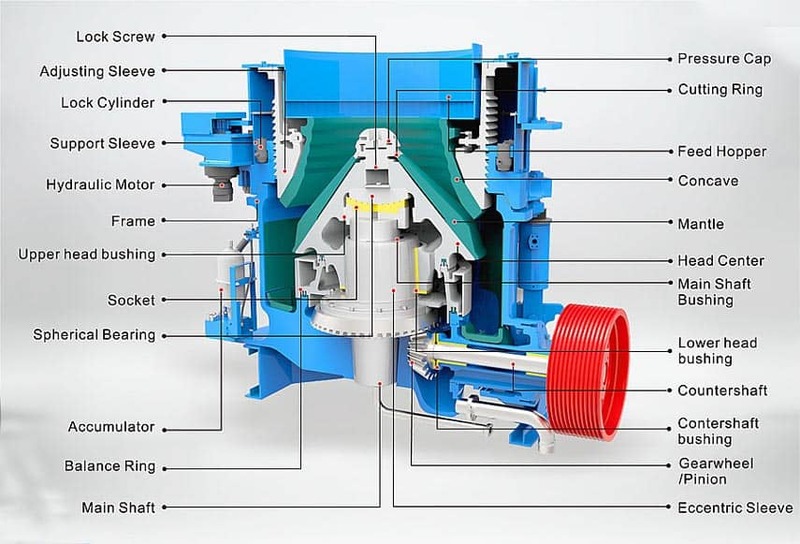 Application Fields: mining, metallurgy, construction material. 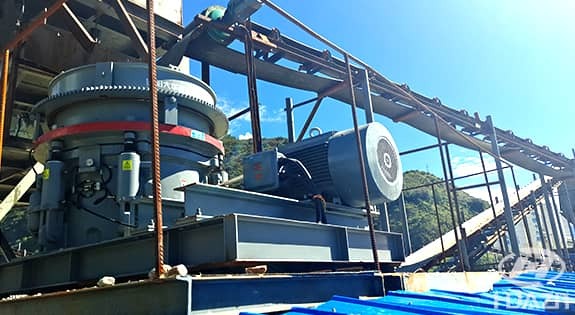 Applied Material: it is applied for fine and medium crushing of medium hardness aggregates. 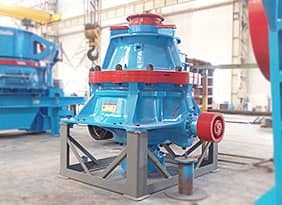 When the hydraulic cone crusher works, electric motor drive the belt pulley or the gear shaft to rotate, drive shaft and cone body make the eccentric shaft periodically oscillating and rotating around the center axis. 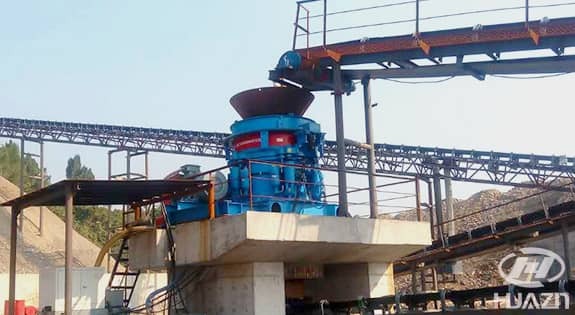 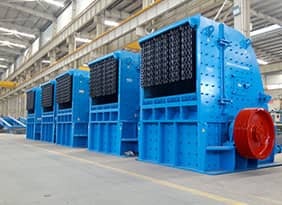 After the material enter into the crushing chamber, they are continuously striking, grinding and squeezing under the interaction of eccentric shaft and concave until the material reach the required granularity, and then discharged from the lower outlet. 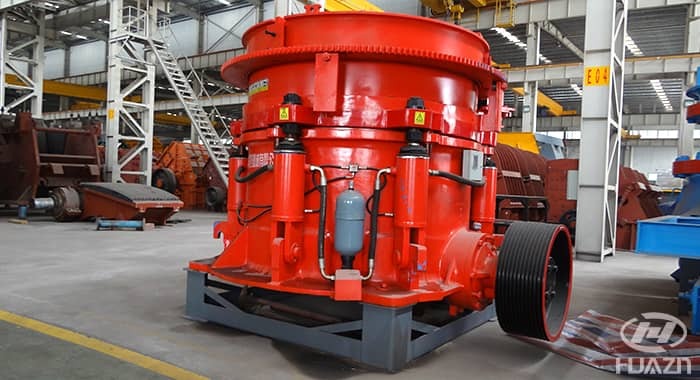 Remark: The capacity above is subject to limestone with density 1.6t/m³ under the condition of open-circuit, which is 15-30% lower than it under the condition of closed-circuit. 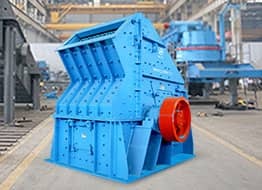 Stone and sand aggregates production line at Szechwan, China. 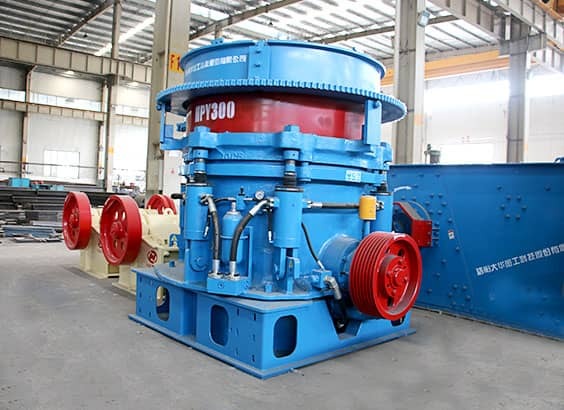 The main equipment: HPY400 cone crusher、YKR3073 vibrating screen、FC1500 spiral classifier and electrical system. 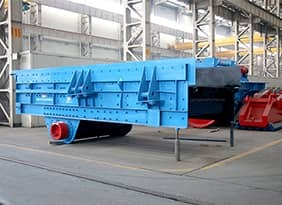 Cobblestone crushing line at Tibet. 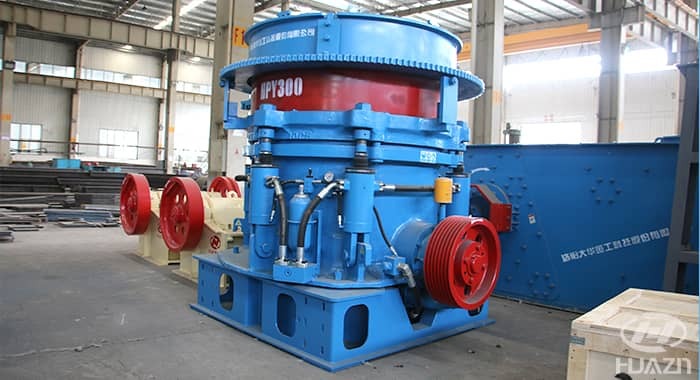 The main equipment: ZSW4211 vibrating feeder、ASD3625 jaw crusher、HPY300 cone crusher、3YK1860 vibrating screen、4YK2460 vibrating screen、XL762 sand washer.